A very attractive bait that will tempt rodents away from any other feed sources that are near-by. Its high energy content makes it particularly useful in cold weather and during the breeding season. The pasta is made with a blend of high quality culinary grade wheat flour, chopped grain, soft lard and peanut flavouring to produce a high calorie, high energy feed. Effective against all pest rodents. 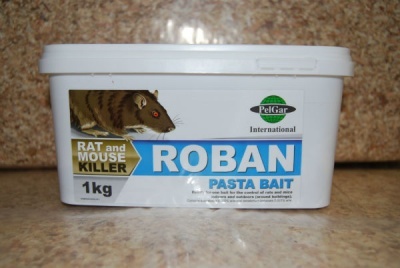 Highly palatable, so rats and mice eat a lot of it, quickly. Supplemented with additives to make the target species feed for longer. The product of choice in situations where highly attractive feedstuffs are available, or the take of other baits is limited.